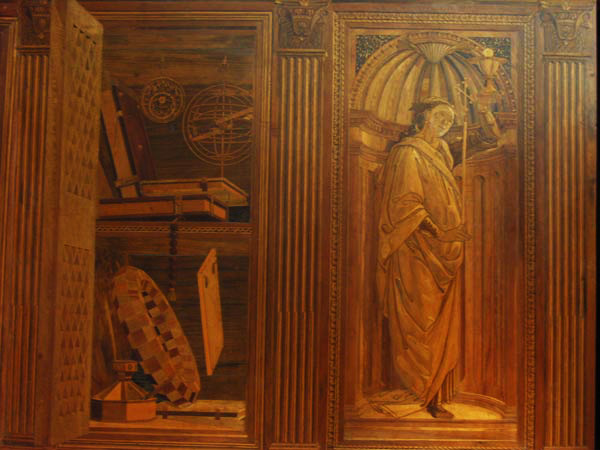 The theological virtue of Faith, south wall, Urbino studiolo. Martin Kemp has described Alberti's (h)istoria as "roughly equivalent to what later academic theorists would call 'history painting,' that is to say, a human narrative drawn from some significant secular or Christian story. Alberti's use may also include allegorical representations and perhaps also such devotional images as the Virgin in company with the saints" (Alberti, On Painting, 99 n. 35).